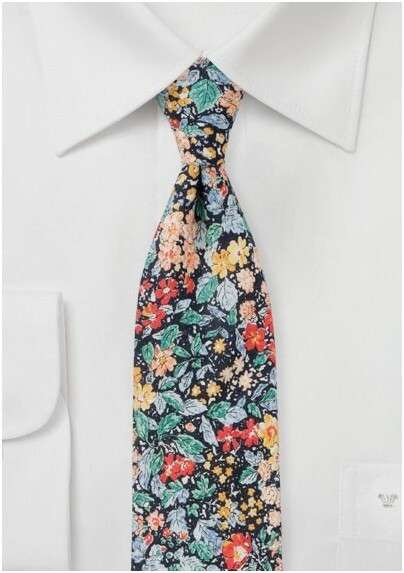 A fun summer tie featuring colorful flower bouquets in a wide range of spring and summer hues. 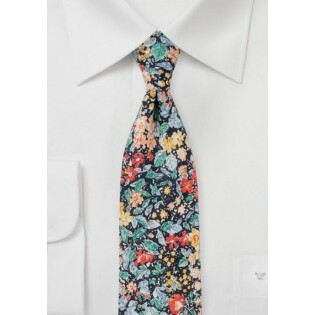 Add this tie to a simple white or light blue dress shirt to create a look that will turn heads anywhere you go. This tie does not need to be accessorized any further but instead makes a statement on just a simple white shirt. Made from printed cotton by BlackBird.